The Parmeds (Curatron) Flash PEMF machine creates very high intensity Pulsed Electromagnetic Fields up to 7,000 Gauss. Ideal for treating musculoskeletal conditions, improving circulation and reducing pain and swelling. The Parmeds (Curatron) FLASH PEMF machine is suitable for clinical or in-home use. The unit has 10 programs offering a wide choice for various treatment possibilities. 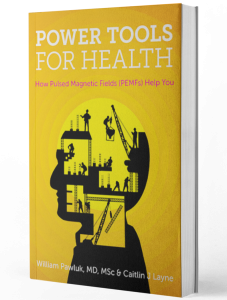 In addition to these 10 standard programs, there is the optional PEMF Flash software that allows practitioners to keep track of patient data and to create custom treatment protocols. Depending on the program you chose, treatment time is between 5 and 30 minutes. This is an affordable mid to high intensity system that is sturdy and will withstand the test of time with continuous use. To learn more about the technical information and see the product itself head over to our store and visit the product page.